The world of sailing is gathering momentum at Cranleigh Prep School. 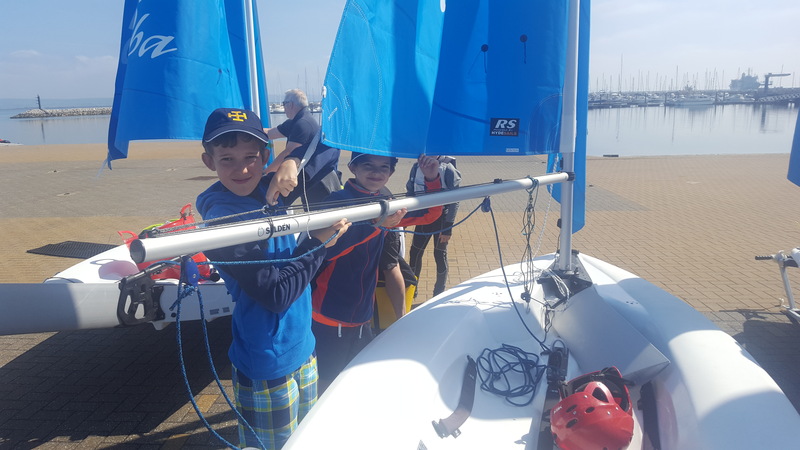 Our pupils come from a range of sailing backgrounds; some have never sailed, some are members of a club, some race, while others just enjoy ‘messing about in boats’! Organised trips to UKSA, (the U.K. Sailing Academy) on the Isle of Wight, give pupils in the Upper School a taste of life at sea. While at UKSA, all manner of boats are sailed including lasers, keelboats and darts, with tuition that is second to none. We have a sailing squad which has competed at U11 and U13 I.A.P.S. regattas at the prestigious Olympic Sailing Centre at Weymouth. With race training scheduled for the coming year, we are determined to be familiar faces at these, and other, national events. In addition, recently, we have arranged for a group of pupils to complete an R.Y.A. course at Southwater Watersports Centre. This will be beneficial both to those who wish to race competitively and to those children who want to develop their general sailing skills. We firmly believe that as an island nation, and with such national prowess in the sport, sailing should and will continue to play an important role in the school community. It not only offers the chance to learn important life skills such as sociability, communication and co-ordination, but it also provides an alternative to team sports, where pupils who prefer to operate in small groups can flourish.